At the start of my placement, I thought it would never end. We had spent six weeks in the relative comfort of a PA training room in the heart of London. There was no bad day that couldn’t be bettered with a cheeky lunchtime trip to Leon or a triple-shot flat white from Knot. Failing that, one could always be buoyed by the inevitable ‘bants’ that comes when you put 12 verbose wannabes in a confined space. On day one of my placement, fish finger wraps, the stench of Victoria and Teeline’s rudest words seemed a distant memory. I spent my fortnight at HR magazine part of the Mark Allen Group and based in Herne Hill. In theory, it was just four miles and a short commute from the centre of London. In reality, I had been condemned to a Siberian gulag. No Pret. No tube. No decent coffee. Can woman live on water alone? What of the coffee, people?? 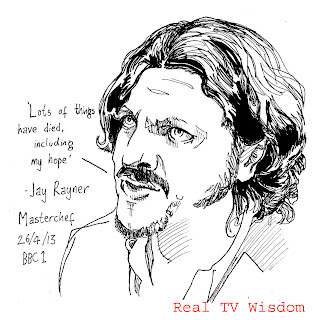 On one occasion, I passed the food critic Jay Rayner as I walked to the station after work. I was briefly filled with hope. My mind was carried away with thoughts of some secret underground system of boujis cafes that he had just reviewed. I began to look forward to being overcharged for avocado on toast. As my first week concluded I realised that the only reason Rayner could possibly want to live here would be to have a clearly defined break from his day job. Safe to say, he would never be obliged to review a restaurant in Herne Hill, simply because there are none. Without any gastronomic distractions to worry about, I was forced to focus on my work. I am happy to report that it paid off. I produced several news stories with by-lines and wrote three features, two of which will make the next print issue. I was lucky that in working on HR magazine, I was exposed to some of the most topical issues making the news today. Needless to say there were stories on Brexit, job uncertainty, EU migrants but I also covered working families, employment law in Russia and the gig economy. On the face of it, Herne Hill had very little to offer. By the time my placement had concluded, I realised the opposite was true. Tucked away in a church in a London gulag, I came across a wealth of opportunity. I developed first hand experience of deadlines, interviewing experts, proof-reading, CMS and the dreaded press day. I actually felt like a real-life journo. Not a fake one working on a mag that no one will ever see. The experience made me hungry for something else. I now cannot wait to get into the workplace. As much as I’ll miss my afternoons giggling while Richard writes the word ‘muff’ in shorthand, it is time to fly the nest. Herne Hill may not be able to satisfy my inner foodie but it certainly left me with an appetite of a different kind. A journalism is not easy job and this page is best topic for them. We can also hire this assignment writing service uk review because it has professional team for give the proper education of journalism. But peoples should try to choose the right way in it. There was no awful day that couldn't be bettered with a brazen noon trek to Leon or a triple-shot level white from Knot. Coming up short that, one could simply be floated by the unavoidable 'bants' that comes when you put 12 verbose wannabes in a kept space. The defining moment during the time spent growing up is the point at which you find the center of quality inside you that survives all hurt. From a specific point Essay Service UK forward there is never again any turning back. That is the point that must be come to. Every one of the breaks you require in life holds up inside your creative ability, Imagination is the workshop of your psyche, do my assignment equipped for transforming mind vitality into achievement and riches. A news-casting isn't simple occupation and this page is best to point for them. This best article composing administrations surveys blog has been giving us and enhancing our insight with this enlightening website.